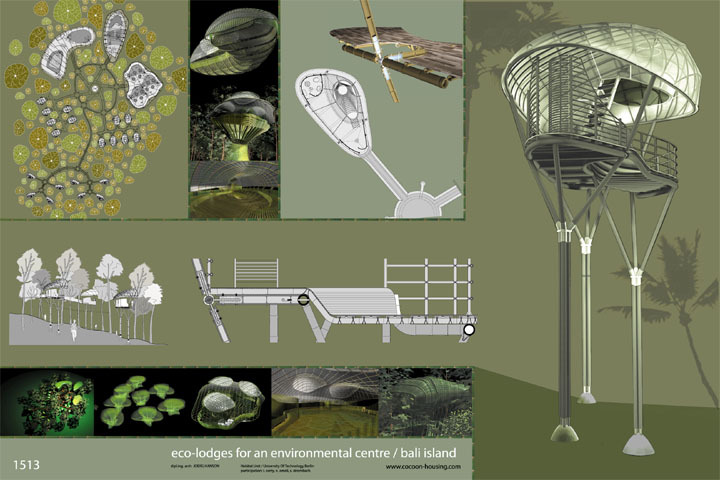 These Cocoon Houses are designed as lodges for an environmental center on Bali. They are vibrantly organic in form and make extensive use of bamboo throughout their structure. 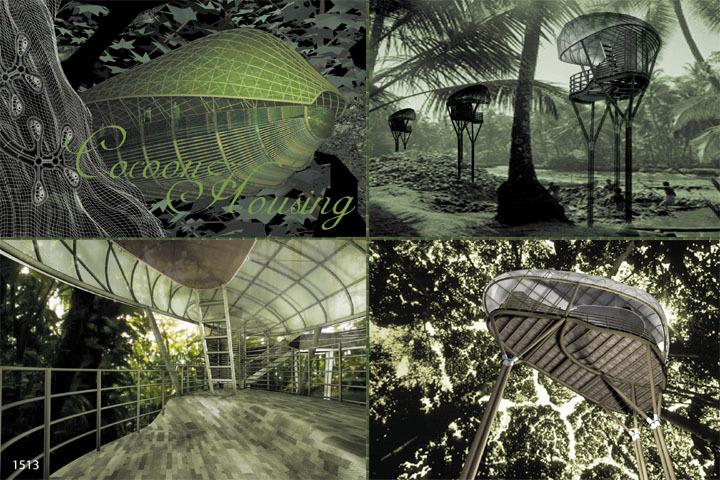 Like growing forest forms, the curviness of the cocoons makes them almost blend into the forest they are built in.